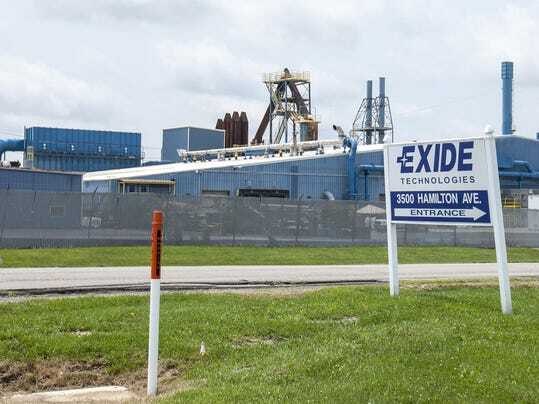 MUNCIEÂ â€“Â â€” Mayor Dennis Tyler has joined a coalition of environmental and health organizations calling for Exide Technologies to do more to protect children from lead emitted into the air at the companyâ€™s battery-recycling facility. Exide, which recycles millions of lead-acid automotive, truck and other batteries in Muncie, has agreed to pay $820,000 in civil penalties and spend $4 million on new pollution control equipment to settle a federal lawsuit accusing the company of once again violating the Clean Air Act. But the coalition says the proposed settlement doesn’t require Exide to retrofit the facility with the best available air pollution control technology â€” wet electrostatic precipitators (WESP) â€” to dramatically reduce emissions of lead and other pollutants. Forest Park Neighborhood Association President Mark D. Kinman sent a similar letter and said he believed the Thomas Park-Avondale Neighborhood Association did so, too. The justice department proposed a consent decree in March that would improve pollution controls at the Muncie Exide plant but the decree does not include WESP. The Hoosier Environmental Council (HEC) is part of a coalition asking the justice department to require WESP technology in the consent decree. The mayor has met with representatives of HEC, neighborhood associations and Exide. The mayor said he didnâ€™t think those certifications included WESP.